Synonyms: Baccaurea sapida, Baccaurea wrayi. 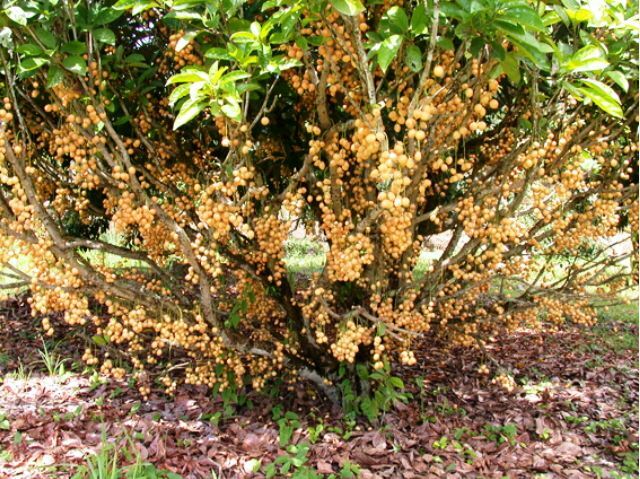 Kataphal occurs wild as well as under cultivation in Nepal, North East India, Burma and Southern China, Thailand, the Andaman Islands and Peninsular Malaysia. It is, however, cultivated only in India and Malaysia. Tree, 15-25 m tall, 25-70 cm in diameter, crown dense and irregular. Leaves ovate oblong to obovate, 7-18 cm x 3-7 cm, glandular, petioles 0.5-4.5 cm, stipules triangular. Inflorescences on old branches or on trunk; male racemes 5-13 cm long, composed of numerous 3-flowered, densely hairy cymes, flowers very mall, sepals 4-5, stamens 4-8; female racemes 10-20 cm long, solitary or fascicled, flowers rather large, sepals 5, ovary 3-4-locular. 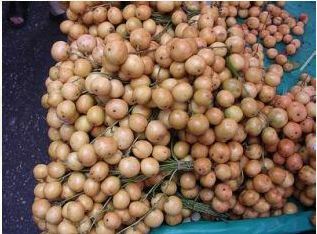 Fruits 2-.4 cm wide, yellowish green and reddish. The fruits are edible and are available in large quantities. However, these not eaten in much as that may make the stomach upset. So much of it is wasted. The fruits taste pleasantly sour sweet at maturity. The peel is a good source of pectin containing 14.1 per cent of it. The total soluble solids content of pulp is 10-11.5 per cent. The pulp contains 7-8.5 per cent total sugars. This fruit makes a quite good wine. The tree prefers a deep moist soil and wet climate. 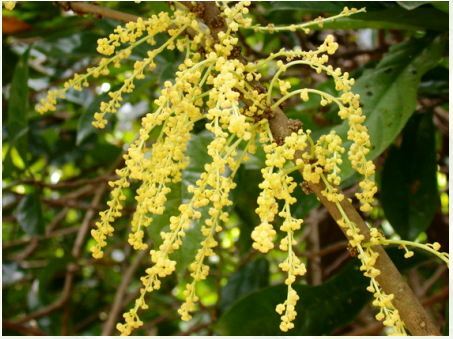 Flowering takes place during during April-May in India and the fruits ripen during rainy season. The yield varies between 20-25 kg per tree. It can be propagated by seed and air layering.